We have been using an enterprise backup solution from www.thinkingsafe.com for about 3 or 4 years now. Its a solid appliance and I would recommend it to anyone looking at enterprise level backup for server (incl. exchange) or clients machines. 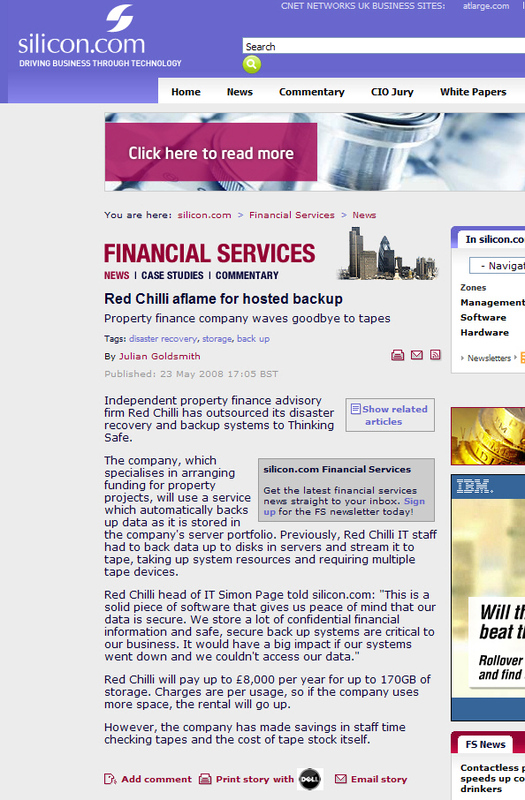 You’re currently reading “Red Chilli Hosted Offsite Backup”.